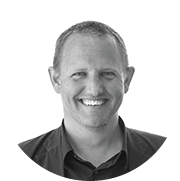 Matthew Springett is principal of London based architectural practice, MSA. He studied at St Martin’s School of Art and The Mackintosh School of Architecture, Glasgow, before graduating from The Bartlett School of Architecture in 1998, winning the RIBA Silver Medal and Bannister Fletcher Prize. He worked with Chris Wilkinson Architects and for Sir Nicholas Grimshaw before establishing MSA in 2001. He is an accredited RIBA Client Adviser specialising in education design. He runs an architectural design studio at the Bartlett School of Architecture, UCL, where he has taught over the past 14 years. Matthew’s office offers a creative studio environment in which collaborative working is encouraged. The practice has a long-term R&D strategy based on active ‘making’ which encourages input from all staff. As well as building design, MSA explore the broader realms of architecture through built installation projects, and have recently won and delivered projects in the United States and UK. MSA’s work has been widely exhibited including 2008 solo exhibition ‘BIGSMALL’ in London. Matthew’s work was been recipient of the Royal Academy ‘Best First Time Exhibitor’ in 2002. Fiona endeavours to bridge design and participation in her practice, particularly from the perspective of view of young people. In her architectural training, she completed her undergraduate studies at Edinburgh University where her work was nominated for the Bronze Presidents Medal and won The Lighthouse Award. Her postgraduate studies were at The Cass in London where her final year project was nominated for the Silver Medal and won RIBA London’s Live Community Project Award. She has taught architecture at both Edinburgh University and The Bartlett. She now co-runs a studio for the Interior and Spatial Design programme at Chelsea College of Art, UAL. 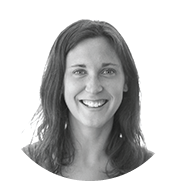 Outside academia, Fiona has become experienced in opening up the built environment to the wider community. For three years she ran the education projects at the architecture charity, Open-City, home of the Open House London weekend. She established and now runs the National Schools Programme for the Royal Institute of British Architects. Fiona is a trustee of DesignEd, an organisation which enriches design teaching in schools through bringing designers and makers into the classroom, and is working with the GLA to broaden the design strand of the London Curriculum. Providing understanding about spatial design and the built environment though constructive teaching, play and making. Allowing young people to see how we and shape and influence the spaces in which we live work and play and testing this through constructed site specific installations. Exposing young people to the processes involved in design and construction within the built environment and allowing them to be inspired and open the possibility of new career paths. Encouraging young people to work collaboratively with a collective goal. Providing opportunity for participants to explore and respond to a unique architectural setting.